December is here, the thick of the Holiday season. But, with all the time off we get, let's see if we can't get a lot of great nominations for Post of the Month. If you nominate, Santa's little helpers will have to do work in judging them, and naming one as the winner, so... let's put those little elves to work. Having won a contest already this year, the following people are not able to win again, no matter how brilliant their posts. Sorry. Last edited by Admin Dirk; 12-13-2018 at 06:03 PM. ... so can I nominate the set? Or does it only count if it fits in a single post? You should pick the best post out of the group. You can give links to the others as a "back story" for the judges to look at if we need context. And the final post - which is my nomination - is the cathartic moment where Grum’s advice washes through Trilla and she transforms her physical appearance to reflect her new character. Trilla is tired of her lessons... tired of this pretentious noblewoman, regardless of her possible good intentions. All the sumptuous meals in the world can not wash the charcoal taste of servitude from the half-orcs mouth. So when the chance to tweak Elayne presents itself, Trilla never hesitates. The warrior gets a perverse sense of pleasure from frustrating her tutor to the point of outbursts and displays of immaturity. Trilla knows that the noblewoman thinks her to be slow but at the same time, the ex-gladiator has noticed Elayne's scroll of bout results. If she is so interested in the games then this foolish girl should know how I would respond to chains... real or otherwise! There was only one thing that seemed to stick with Trilla whenever she left Elayne's tent and it was the creepy portrait. A young Elayne surrounded by two men… one with his hands on the poor girl. Most likely predators… especially the one with the weird hat. Trilla had met her share of these type of men but luckily she was protected by her trainer, Grexer. After he split the head of the first man who touched her… the rest stayed away. Who protected poor Elayne? When Elayne pays the peasants a visit after yet another fancy dinner, Trilla just rolls her eyes and tries to ignore her prattling. The half-orc understands Pat’s need to converse with the girl but she wishes he would do it elsewhere. Trilla sits impassively until she hears the noblewoman yet again mention the warrior’s life debt. Trilla snaps her gaze towards Elayne and knowing that she would probably do something rash in the next few moments, Trilla turns and stomps quickly away. Trilla can feel an overwhelming surge of anger wash over her. The anger has been building nonstop since the Inn and the half-orc is finding it harder and harder to control. As the angry heat builds throughout her very being, Trilla finds her armor to feel almost suffocating. She hastily strips off her chainmail, trying to find the air to cool her emotions. The anger, still billowing red hot, Trilla finds the nearest tree and begins to bury her axe deep into the trunk, over and over and over again. Trilla Later on the journey, Grumveldt heard the chopping of wood and went o find Trilla, viciously cutting at a tree with her axe. The sorcerer walked over to the half-orc staying just out of reach of her blows. He saw her armor lying nearby in the underbrush, and had to wondered what the hell she was doing until she saw the sheer frustration on her face. The sorcerer removed his bag and placed it behind him in the underbrush next to the warrior's. Then he removed his wolf cloak and his tunic. Contrasted to the nearby Trilla, Grum was fit and frankly miniscule compared to the half-orc. He traced over his tattoos and felt the suppression of Bone-Dirth. He reached ever so slightly for the wild weave and felt the exhilaration of the unpredictable magic. Then he chanted to Trilla as she chopped away. His left eye glowed red. Thank the gods not his right. "Use it, Trilla. Frustration, anger, a dark growl in the back of your throat. Use it to destroy your enemies." Grumveldt pushed the weave away, but used the Dark Lion Dance Fist had taught him like a physical mantra. "Just as I use the wild weave. USE IT!!" Grumveldt yelled to the sky. His left eye glowed red like a demon's flame. "People will fear your might! People will fear your rage!" Grumveldt started laughing maniacally. The wizard was sorely tempted to grab the weave and cast a spell, just for a short moment, but his discipline held him in check. He stopped laughing and dared to moved forward to place a hand on Trilla's shoulder. "Use it, Trilla. The wild gladiator. But don't let it use you." Trilla tore into the trees scattered about her, an axe bearing tornado wreaking havoc on everything in her path. 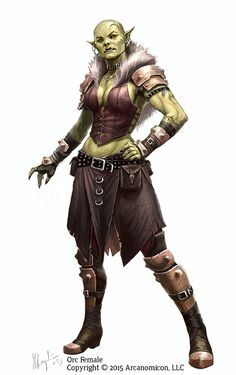 The half-orc’s heart pounded in her chest and she felt the blood throbbing in her veins. Trilla was angry… angry beyond any and all comprehension. Angry at a world that had deprived her of even a moment’s peace since the moment of her birth. Angry that for one brief second the gladiator had thought that she might have found her place… with new friends… a new beginning. But Trilla was also scared… no… terrified. That one brief moment… the one time that the Half-Orc felt accepted for who she was… flickered and died, ended by Garrus’ muddy boot grinding into her throat in the dark of the night. Now Trilla faced the prospect of entering a city of strangers, strangers all too willinging to put an orc in its place. In Gormia, Trilla had notoriety… notoriety she had earned through struggle and skill, to help her navigate her place in the world. Now she was nothing but an orc… a brute… a monster. Trilla continued to vent her rage as she heard movement behind her, "Use it, Trilla. Frustration, anger, a dark growl in the back of your throat. Use it to destroy your enemies. Just as I use the wild weave. USE IT!!" she heard Grum yell. The gladiator turned, her yellow eyes narrowed and her breath hard and fast. Her fingers shifted on the heft of her axe as she glared threateningly at Grum. 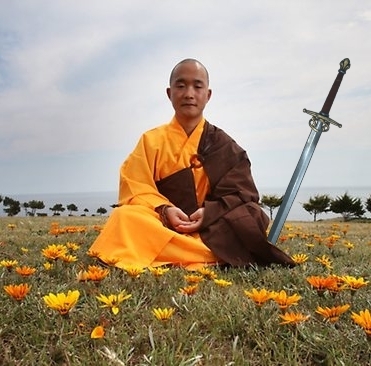 The steadfast mage did not falter. "People will fear your might! People will fear your rage!" he continued as he dared to step closer to the towering orc. Trilla abruptly dropped her axe to the forest floor as Grum laid his small hand on her shoulder. "Use it, Trilla. The wild gladiator. But don't let it use you,” Grum whispered. Trilla looked at her true friend and placed her hand on his shoulder as she began to assert control over her emotions. Reaching into her belt, Trilla produced a sharp dagger and stepping back from Grum, she began to cut the flowing blonde locks from her head. As her hair fell and was whipped away by a sudden howling wind, Trilla smiled… if they want a monster… a monster they will get. Reason: The quality of the writing from the players and the GM in this game is really a cut above. I first caught wind of it when one of the players was nominated for POTM a while ago. I started spectating the game, at first mostly because the concept seemed interesting and then as time grew on I found myself drawn into the story and eventually the GM and I worked out a plausible way for me to take over what I think was supposed to be a fairly minor, disposable NPC and spin her into a PC in my own way. I hope to measure up to the quality of play but it's a lofty standard that's been set. Mountainbound plays Solgar (on paper a barbarian) who was raised by a monastic, vaguely buddhist order of monks in the mountains and owes his life to the sacrifice of one mystical elder - Bodhiji. This ascetic gave his life to be tortured and killed by orcs, that a young Solgar might go free in his place. For context, Solgar is an absolute mountain of a man. He's 6 feet and 5 inches of sinew and muscle with long unkempt hair and a heart of gold. My character has just been introduced (for plot reasons not entirely relevant to this nomination) and happens to be carrying the reincarnation of Bodhiji, an infant with the mind of an adult who in a recent DMpost snapped Solgar into a reverie and greeted his old friend warmly. The nominated post is Solgar's immediate reaction which is quintessentially human, and shows us what good characterization looks like: this man of few words is being herded and hunted by the invading armies of an undead apocalypse and in an unexpected twist is suddenly brought to tears by the spiritual vision he's seen. Solgar is a character of depth, realistically portrayed. Leaving the good writing aside, it's also a great post in terms of game mechanics. Mountainbound weaves together the excellent characterization I mentioned above with the essential elements of cooperative storytelling: Solgar's reacting to the situation, bringing the post "up to date" if you will, and then gives someone else in the game (in this case myself) something to work with so the plot can continue to advance: dialogue in the form of a question. Last edited by astra; 12-08-2018 at 12:29 PM. Reason for Nomination: I really enjoyed writing this post, and I like the complexity of this character in general. In this post, the character is waking up the night after he had succumbed to his split, and found himself confined for the safety of others. It took him some time to get where he needed to be... but it's his inner struggles that resonated when I was writing. Considering his mind is broken, he doesn't have many real friends, so he fears to lose the few that he has. And he expects to lose them. As the post goes on, he also mourns the death of the woman who he looked to as a mother and tries to deal with the guilt of losing control, and thus, allowing the sanctity of her Haven to be violated. The post finishes up with him meeting several new people, and the shy broken man trying to do what he must as he fights the instinct to flee. It's a post I'm proud of, and I hope other people enjoy it.